Hospitals across the country should review their accounts receivable management now to remove any inefficiencies, as a new forecast by PricewaterhouseCoopers's (PwC) Health Research Institute showed that after nearly ten years of cost contraction in employer health care spending, medical costs are set to rise at the end of 2014. 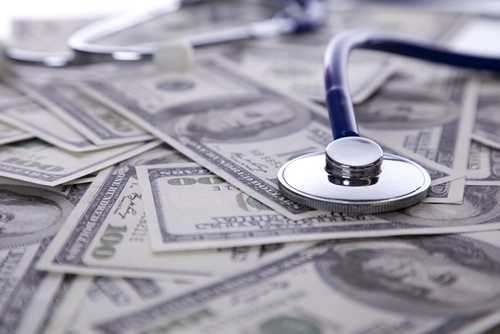 The report projects that medical costs will rise by 6.8 percent in 2015, slightly higher than the 6.5 percent cost increase previously published by PwC. The source attributes the rise in cost to "the trend toward higher deductibles for workers and narrower networks of medical providers covered," which puts more of the burden of the cost of care on employees and individual subscribers. Of the 1,200 employers surveyed in the report, 85 percent claimed that they are considering placing more insurance costs on their workers in the next three years. The 6.8 percent increase in healthcare is significantly higher than the 2.1 percent inflation rate for the overall economy. Michael Thompson, principal on the Health Research Institute's advisory team, claimed that there were a variety of factors that attribute to the accelerated cost increase. "The fact that health spending continues to outpace [gross domestic product] underscores the need for a focus on productivity, efficiency and better value for purchases," Thompson argued in the report. The Affordable Care Act has prioritized increasing efficiency and reducing waste in the health care system, but these changes could take years to have a serious effect on the cost of care. If your facility is one of many already struggling with the collection of accounts receivable, beginning to outsource receivables management now could help to avoid additional strain in 2015. Outsourcing receivables management can increase cash flow at your facility, while decreasing the dollars written off to bad debt.